Black in the Americas: Paradise Lost or Found? The legacy of race in the Americas is a long storied one, to say the least. It is a legacy colored (no pun intended) by the frequent comparison of the status of Blacks in the U.S. and Blacks in Brazil. Once considered a “racial paradise,” Brazil has long been a place and subject of interest for U.S. scholars mentally tussling with what it means to be Black in America. And while many in the 19th century drafted reports of a racial utopia in the southern America, the history of slavery and persisting injustices against Brazil’s black population starkly contrasted the prevailing harmonious narrative. 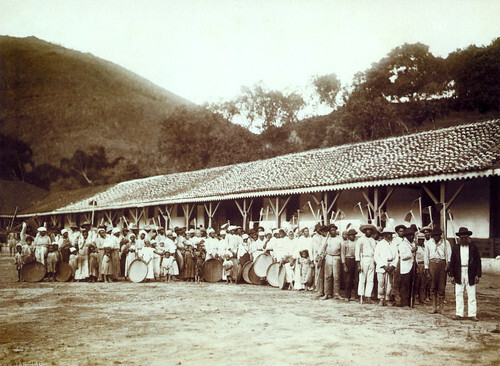 Perhaps of most importance is that even though free Blacks and mixed-race persons occupied many positions of power in local and state government during the 19th century, Brazil was nonetheless the last country in the Americas to abolish slavery in 1888. Equally as interesting is that many of these reports emerged as White-led efforts to prove that Black and White coexistence was possible. As far back as April 1838, one such essay appeared in the edition of Colored American, where the authors spoke glowingly of the contributions of Black farmers, merchants, doctors, priests, and more as evidence of racial harmony in both Brazil and Trinidad. In his article “Racial Paradise or Run-Around?”, David J. Hellwig notes that the writers “sought to discredit the fears that led to the establishment of [B]lack codes in Ohio” (44). Although this and other similar reports did not stop the development of Black codes in Ohio and other parts of the U.S., Brazil still came to hold a place in the American imagination as a sort of racial paradise, with the promise of a better life for all. Presented with such dichotomous examples, sentiments of a better life in the southern hemisphere were not only echoed by such notables as Frederick Douglass, Booker T. Washington, J.A. Rogers, and W.E.B. DuBois but actively heralded Brazil as an option for those seeking refuge from racial prejudice and persecution in the United States. The most repeated refrain was the nation’s absence of racial delineations– people were not described as Black or White, they were all Brazilian. 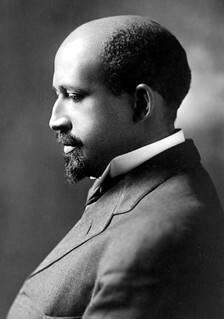 DuBois gained notoriety for his now-infamous theory of “double consciousness,” or the division a Black person experiences as part of society while simultaneously being excluded from many facets of that same society. Such patriotism in the face of a people not considered to be fully human was more than appealing to him and to other prominent Black leaders in the U.S.; it was the realization of a dream. 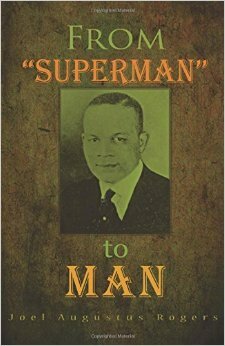 However, as the era of the second World War passed and the Civil Rights Movement began to take shape, DuBois became one of the most prominent voices to sing an altogether new song on the so-called racial utopia. As the world entered the 1940s and the U.S. entered World War II, the Jim Crow laws which characterized the 1930s were slowly being repealed and the racial climate of the northern America began to shift once again. This, coupled with more opportunities for travel and research to Brazil led many to champion previous assertions of the nation’s lack of a race issue. For DuBois in particular, his previous beliefs about Brazil– and specifically the mixing of races that he saw as proof positive of racial harmony– would give way to the irrefutable facts of Black Brazilians’ position at the bottom of the nation’s social and economic hierarchies. That Brazil’s poor population was mostly Black and its slums, or favelas, were primarily occupied by the same people struck few as merely coincidence. Moreover, the racial amalgamation he once believed was a possible solution to the issue of race became the focus of what DuBois viewed was an attempt to erase Brazil’s African ancestry, to “whitewash” its history. Though the racial surfaces of the United States and Brazil were, at a glance, noticeably different, DuBois and the U.S. Black intelligentsia would solemnly note that the deeper issues of prejudice and discrimination were the two countries’ tragic commonalities. * Jehan Roberson is a writer who recently received her MA in Humanities and Social Thought from New York University. She is interested in Black literature and art of the hemisphere and is currently at work on her first novel.